Some of my favorite things to post on Pinterest are new dishes to try out in the kitchen. I have a board called Nom Nom. If I can't decide what to make for a party or occasion, I go to this board and scroll through. 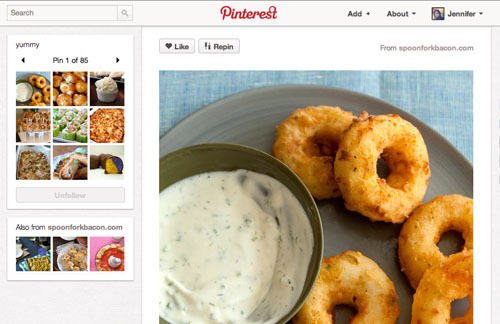 Just recently I pinned this recipe for Potato Rings. They look soooo good! "It's like onion rings only not!"